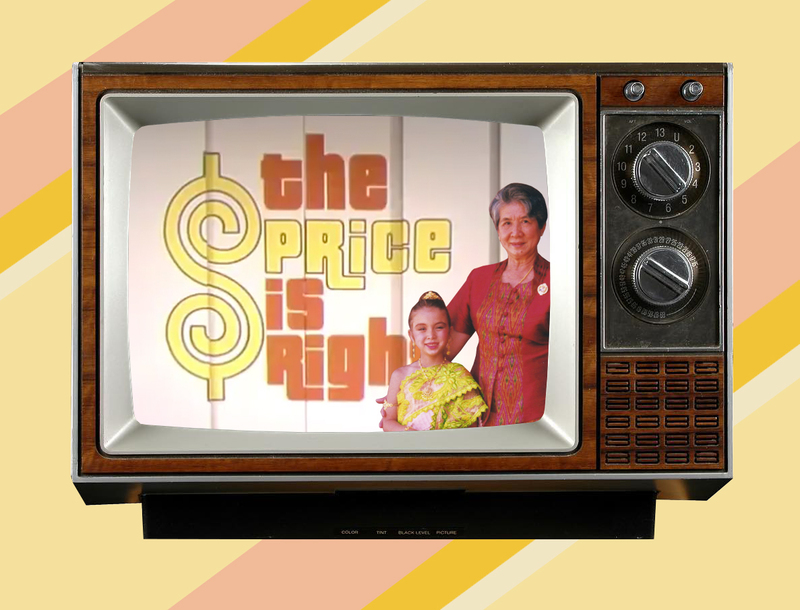 For as long as I could remember, my grandmother—lovingly known as Yai (or Grandma in Thai)—was obsessed with The Price is Right. Although it was 20 years ago, I can still vividly remember sitting on our worn, yellow couch cushions, eyes plastered to the flashing lights of the game show as Bob Barker warmly shouted “Come on down!” to eager guests, who clamored forward, giddy with excitement at the prospect of winning some serious cash and prizes. It was routine for Yai and me to spend every morning, five days a week, watching The Price is Right—or as Yai called it, the “Come on Down” show. Plinko was our favorite. Beyond being a simple way to entertain a little old Thai lady and a preschooler, the show also provided a moment of bonding and language exchange for us. Yai would watch intently, arms crossed, and every so often, she’d lean over and whisper to me. “What is that word in English?” she’d ask. “Car,” I’d reply. Or “boat” or “ticket” or “kitchen”—depending on what the prize was that day. Translating for Yai became a game in itself. The more we watched, the more her English vocabulary grew. When a car came on as a prize, I’d point to it and ask Yai if she remembered the word I taught her. “Car!” she’d reply enthusiastically. It became a habit for Yai to rouse me and my brothers from our rooms each morning by shouting, “Come on down, Kat, Matt, Andrew!” and doubling over with laughter. As I got older, I wasn’t around to watch The Price is Right with Yai anymore, save for the occasional reruns or sick days spent at home. Although school got in the way of our favorite morning routine, Yai would always motivate 6-year-old me to go, emphasizing the importance of my education. Besides, she would always be waiting after school to walk home with me and fill me in on all she had observed on the show earlier in the day. “Today, someone won a big prize,” she’d relay to me in Thai, holding an umbrella over my head as we made our way home under L.A.’s blistering sun. “What was it?” I’d ask. “A car!” she said, emphasizing the word in her limited English. All I could do was smile. I don’t think my grandma ever envisioned herself coming to America, let alone watching a game show that, to her, was full of glamour and wonder. She grew up poor in a small village in northern Thailand, living in a house with dirt floors and surviving off skinny chickens she butchered herself. Yai worked back-breaking jobs to provide for my mom and uncles. Some days that meant manning a noodle cart she borrowed through a series of loans; she would make enough to pay off the noodle cart’s true owner and have a little left over to feed my mom and uncles. She spent other days hunched over a sewing machine, or beading and crocheting intricate garments (and she was the best seamstress I knew—she made all of our Halloween costumes, my cousin’s prom dress, and the dresses for my half-sister’s entire wedding party). Sometimes she worked as a beauty technician, perming hair and painting lips. She reminded me of a dandelion, drifting from place to place, finding a way to make ends meet. My grandma was never held down by anyone or anything. So when my family and I moved from Thailand to Los Angeles in 1994, it came as no surprise that Yai found her way here, too. I never thought twice about how privileged we were that Yai could come—that the difficulty of obtaining a visa back then was nothing compared to the struggle of coming to America as an immigrant now (my cousin from Thailand, who dreams of coming to America to see Hollywood and Disneyland, was rejected for a visa for the third time this year). But Yai didn’t live with us permanently; Yai didn’t live anywhere permanently. She’d spend a couple months in L.A. with us before making her way back to Bangkok, then trekking 300 miles directly north to her hometown of Uttaradit—going wherever the breeze carried her. She caught rides on rickshaws, rode cramped trains, or motored down rivers on leu hang yaos, Thai long-tail boats. Sometimes, we’d find out that she was in Oklahoma with a friend, the person who introduced her to The Price is Right in the first place. Or she was in Vegas playing slots. Occasionally she’d make her way up to San Francisco by tour bus. Regardless of state lines, she watched The Price is Right. Looking back, it makes sense that Yai clung to one of the longest-running game shows on television. It was one of the few consistent things in her life—and it provided common ground between her and her biracial grandchildren who, without her, wouldn’t be able to speak the level of Thai we do today. It was a piece of Americana and an indication that her life had moved beyond the geographic parameters she’d imagined. But most importantly, I think The Price is Right was a fantasy for my grandmother about the American dream. Although we all struggled to acclimate when we first arrived here, The Price is Right served as a reminder that American life is a game of stakes—but there’s still fun to be had in playing. Yai had always dreamed about being on The Price is Right. When the topic of her favorite TV show came up, she shyly insisted that she’d be a strong competitor thanks to her life of hustling. She felt certain she could accurately guess the prices of most of the items offered up. Unfortunately, Yai never got her opportunity. I was too young to understand how to sign up for game shows then, and my immigrant mother didn’t know how to do it, either. In 2002, Yai was diagnosed with stage 4 breast cancer, which spread rapidly to her lungs, her bones, and eventually to her brain. Despite the chemotherapy and the grueling effects it had on her body, Yai still insisted on watching The Price is Right every day. Although cancer gripped her tightly—her body a shell of itself and her weathered hands folded together in her lap—her eyes still shone with excitement and enthusiasm each time Bob Barker called forth another contestant. She sat with me on the yellow couch watching the blinking lights of the game show until she had to be restricted to a wheelchair, then to a bed. Eventually, she couldn’t watch anymore. During this time, I tried to motivate Yai by telling her she had to hold on because she still hadn’t lived her dream of being on the “Come on Down” show. She’d smile weakly and nod, but even then, she knew her opportunity of being on The Price is Right would have to come in her next life. My grandma passed when I was in third grade, around eight months after her diagnosis. 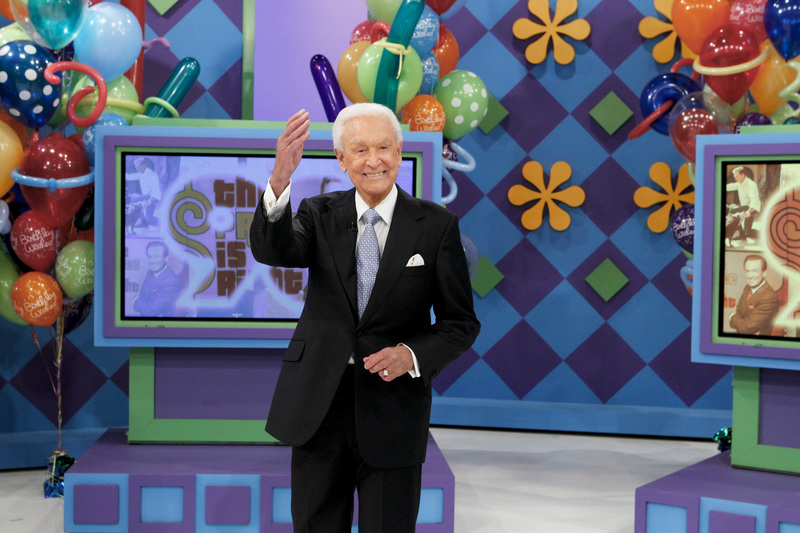 For a long time, it was hard to watch The Price is Right without feeling a wave of grief and longing. These days, it’s impossible for my family to watch the show without talking about Yai and the prizes she would have preferred. She always loved the travel showcases, which was no surprise given how much distance she’d covered already. In 2018, when I reflect upon my time with Yai, I think about how fortunate I was to have her by my side as I grew up—speaking Thai to me, cooking up a storm of sticky rice, salted pork, and papaya salad, and teaching me about grit and tenacity. I was lucky we shared those quiet moments on the couch, holding our breaths to see if the contestant won the grand prize. We hear stories every day now about families being separated at the border, children lost in a sea of confusion and political turmoil. Who can they turn to? Are their grandparents wondering where they are, or when—if ever—they’ll see them again? Although our time together as grandparent and grandchild was brief, it was meaningful and steeped with lessons. I can’t imagine growing up now, in 2018, as a first-generation immigrant woman with no guarantee of ever seeing my family—my grandmother—again. I can’t imagine the cruelty it takes to knowingly dismantle that powerful bond between grandparent and grandchild, to advocate for these acts, and to be able to return home and comfortably watch television game shows with one’s own family like nothing happened. According to The Washington Post, over 500 children still remain separated from their families as a result of Trump’s “zero tolerance” immigration policy. You can help by donating to organizations advocating for immigrant rights like the Refugee and Immigrant Center for Education and Legal Services (RAICES) or the American Civil Liberties Union (ACLU). And as always, contact your elected officials and share your disapproval.